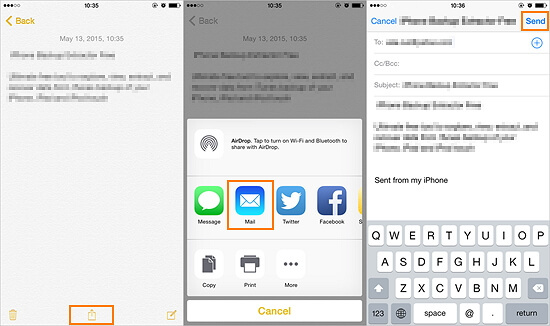 Many iPhone users use Notes app to save important text and reminders on-the-go. The notes saved on your device can then be accessed later wherever you go. But often users complain that they lose notes accidentally. If you are one among them who is thinking how to save Notes on iPhone then we will show various methods of saving notes from your device. There are multiple methods to save notes but they come both with pros and cons. You can have an overview of all the methods and then find more details about each one from the following parts. There must be a suitable one for you. 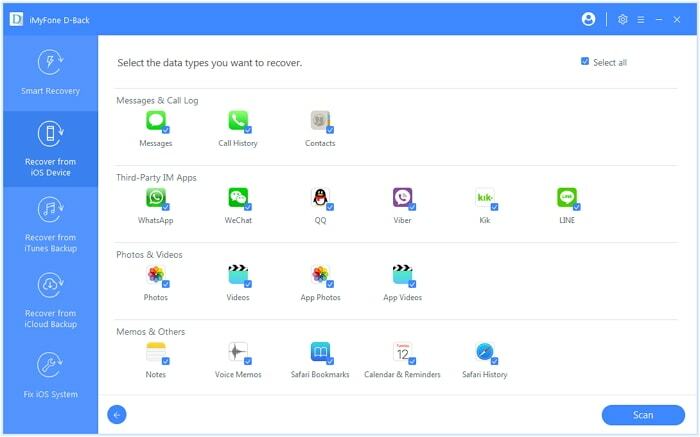 iMyFone D-Back is one of the advanced tools available to save the existing as well as deleted notes on iPhone. It is designed to save the notes of your device in a secure manner. 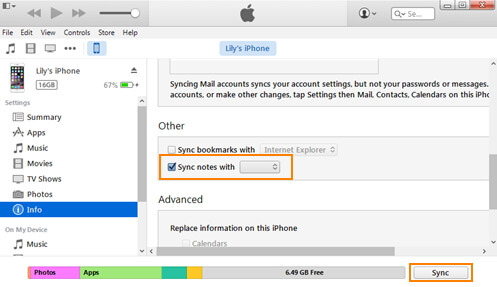 It can save notes selectively or fully from your device, iTunes or iCloud backups. Step 1. Open iMyFone D-Back tool on your computer. 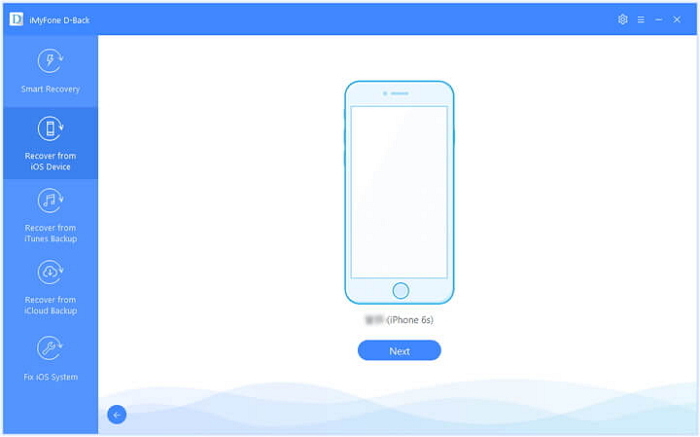 Click on “Recover from iOS Device” and click “Start”. Connect your iPhone to the computer. Your device will be automatically detected. Click “Next”. Step 2. Select “Notes” under “Memo & others” from various options shown and click “Scan”. Step 3. All the notes, both existing and deleted, will be displayed when the scan gets completed. Select the notes you need to save and then Click “Recover”. You will be asked to select the folder to save the recovered notes. Notes will be saved successfully once you finish choosing the folder. Step 1. Run D-Back on your computer. Click on “Recover from iTunes Backup” and click “Start”. All the iTunes backups will be shown. Choose the most relevant backup and click “Next”. Step 3. All the notes will be displayed when the scan is over. Select the notes you need to save and then Click “Recover”. You will be asked to select the folder to save the recovered notes. Step 1. Launch D-Back tool on your computer. Click on “Recover from iTunes Backup” and click “Start”. Enter your Apple ID and password and sign in to your iCloud account. Step 2. All the iCloud backups will be shown. Choose the most relevant backup and click “Next”. Step 3. Select “Notes” under “Memo & others” from various options shown and click “Scan”. Step 4. All the notes will be displayed when the scan is over. Select the notes you need to save and then Click “Recover”. Notes will be saved successfully once you finish choosing the folder. Many users have already saved their notes using iMyFone D-Back. This software is trusted by millions of users and many professional websites across the world. There is an option to save your notes to PC by emailing them to self. Step 1. Open Notes on your device. Step 2. Select the notes you want to save and then tap on Share icon. Choose Mail from a list of options. Step 3. Enter your email address in the “To” field and tap on Send. Step 4. 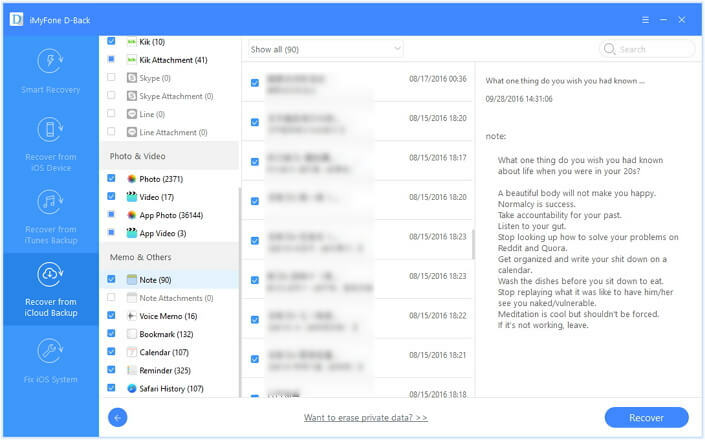 Now, open your email account on your account and view and save the notes. You can also save notes on iPhone via iTunes but you need to ensure that you are using the latest version of iTunes. Step 1. Launch iTunes on your computer and connect your device using the USB cable. Step 2. 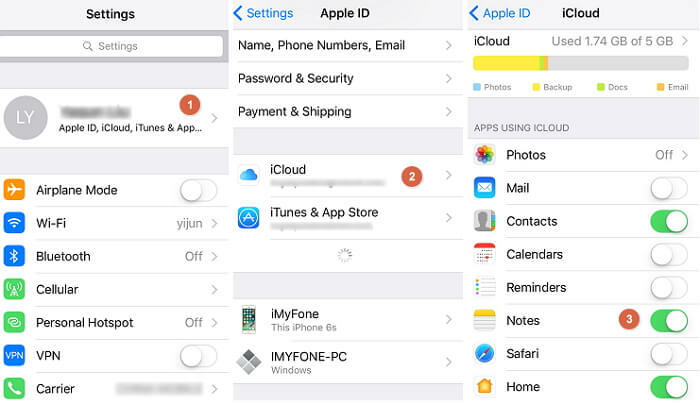 Before creating a backup via iTunes, make sure that iCloud is switched Off on your device. To check, go to Settings -> iCloud -> Storage & Backup. 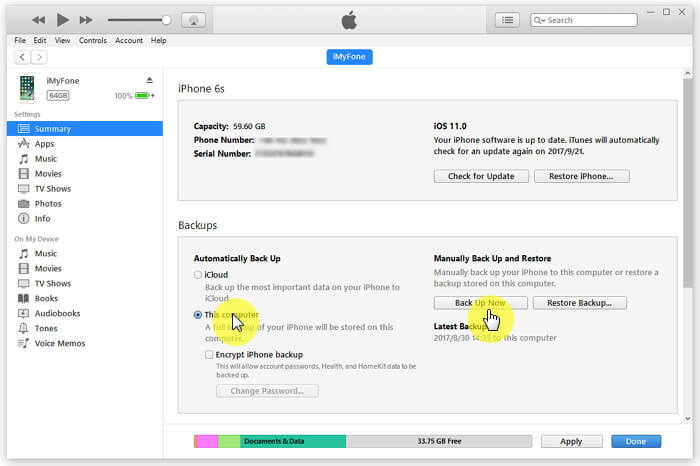 Toggle “iCloud Backup” off. Step 3. Now, choose your device on iTunes and right-click on it. Choose “Back Up” from the drop-down menu that appears. Step 4. Once the process is over, the backup of entire data, including notes will be created successfully. Apple lets you make a backup of the entire data of your device including notes on iPhone. Step 1. 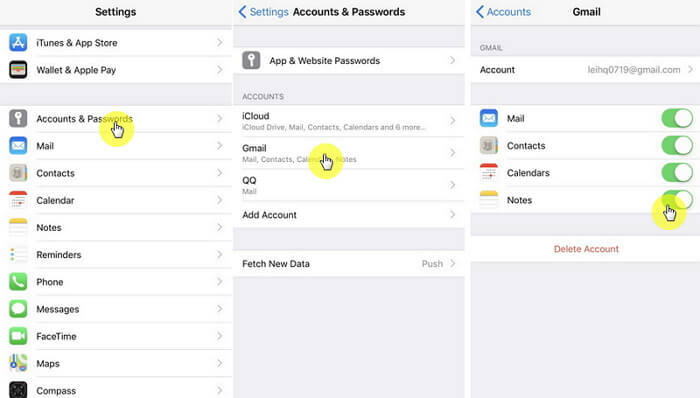 Open Settings on your device and then tap on iCloud. Step 2. Enter your Apple ID and password and sign in. Step 3. There will be a list of options. Toggle “Notes” On to automatically upload notes to the cloud. You can now view the notes on PC by signing in to your iCloud account and save them. Many people keep searching answers for how to save notes on iPhone. Outlook allows you to save notes from iPhone to a computer. Step 2. In “Summary Panel”, select Info. Check “Sync notes with” and choose Outlook from the drop-down menu. Step 3. When you click “Sync”, all your notes will get backed up with Outlook. You can check all your notes in the “Reminders” folder of Outlook after the process gets over. You can not only sync email, calendars and contacts with Gmail but also Notes on your iPhone. Step 1. Open Settings and go to Mail, Contacts & Calendars. Step 2. Tap on “Add Account” and then choose “Google” for Gmail. Step 3. Sign in to your Gmail account. Now toggle “Notes” On in the next screen. You can now access your notes on your Gmail account. 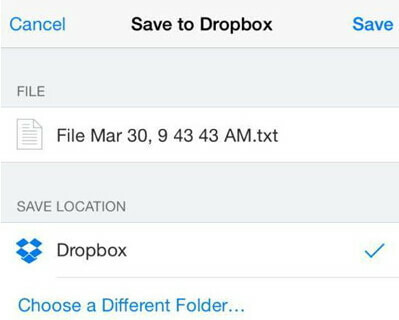 Dropbox is a cloud storage solution that lets you store your device’s data. Step 1. Launch Notes app and open a saved note. Then, tap on Share icon. Step 2. In the pop-up window, choose “Save to Dropbox”. In the next screen, you can rename the file and even choose the location for saving the note. If you are still thinking how to save notes on iPhone, you can view all the methods given in this guide. Check them carefully as all the methods own pros and cons. Choose the method you trust to save notes on iPhone. You can let us know which one you have chosen in the comment section below.